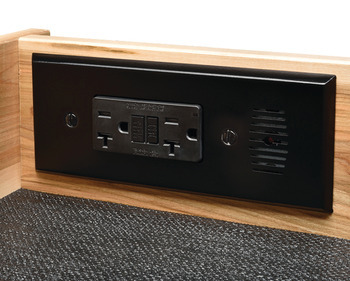 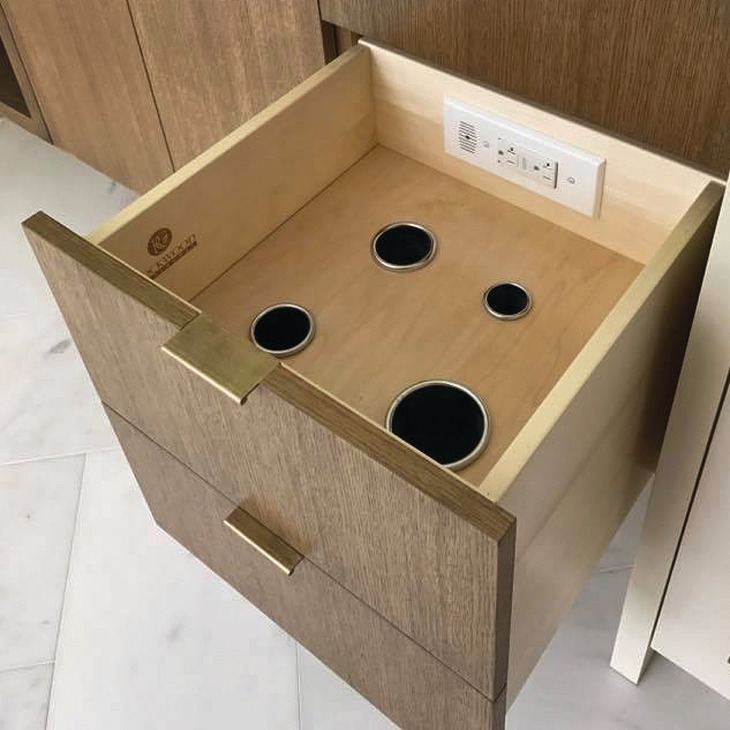 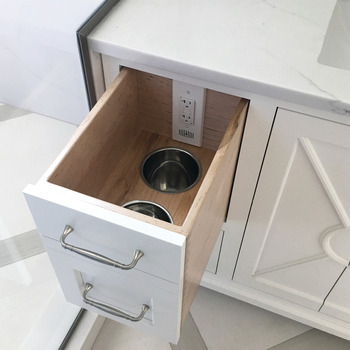 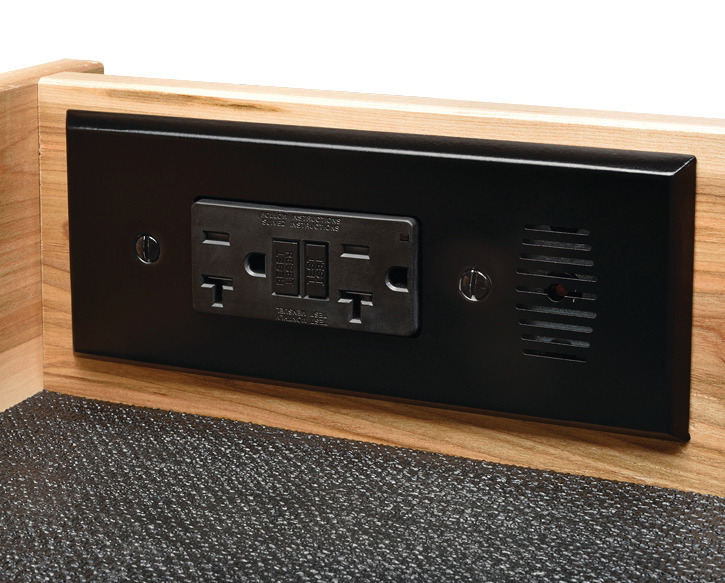 Black, for ≤ 21" cabinet depths, minimum drawer box width (OD) ≥ 12"
White, for ≤ 21" cabinet depths, minimum drawer box width (OD) ≥ 12"
Stainless Steel, for ≤ 21" cabinet depths, minimum drawer box width (OD) ≥ 12"
Style powering 20 amp outlets are designed to power hair dryers, curling irons and small kitchen appliances. 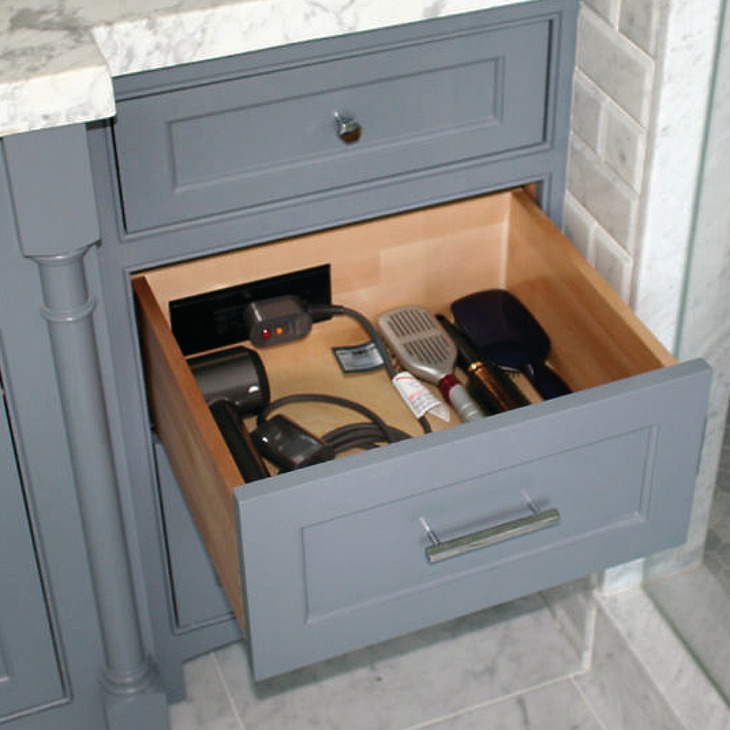 Use in bathrooms, kitchens, furniture and any drawer. 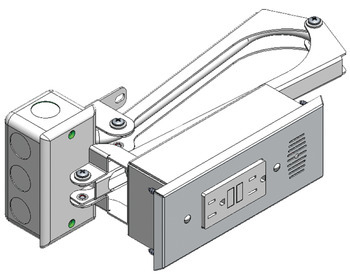 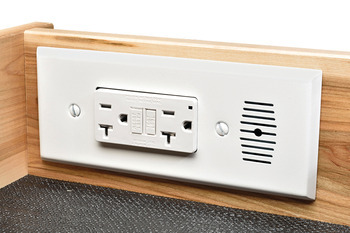 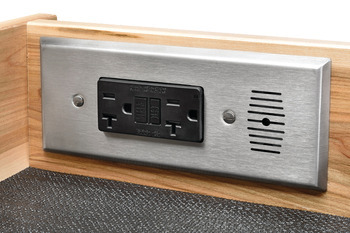 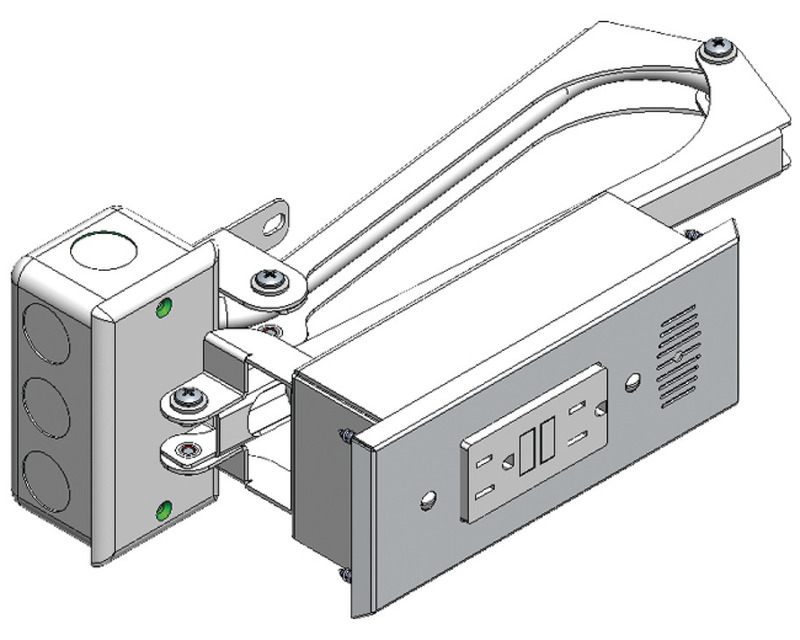 A 20A supply is needed - This supply can be roughed-in with a surface mounted handy box or flush mounted using a junction box with a sinlg gang cover a Flex 90 connector anywhere in the cabinet. 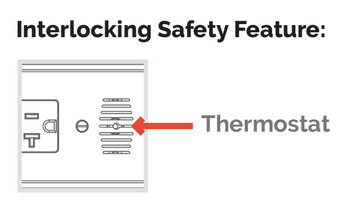 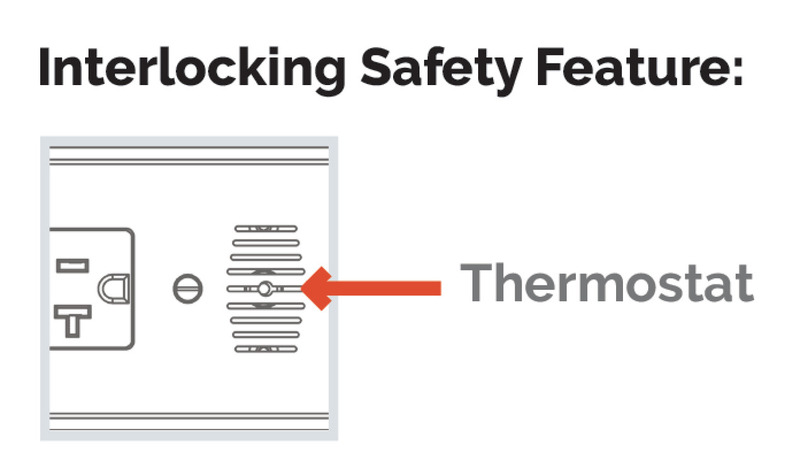 UL listed thermostat that cuts power to the outlet in the event that the surrounding temperature exceeds 120° F.
Dishwashers, disposals, instant hot water and trash compactors cannot be plugged into Docking Drawer outlets.